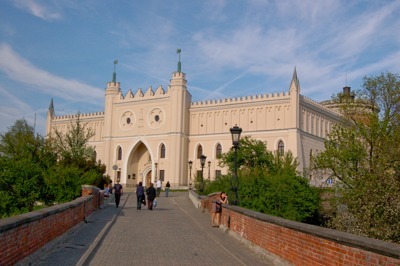 Lublin’s location doesn’t make it ideal for tourists to Poland who often prefer Gdansk, Warsaw and Krakow instead; however, overland travelers who have more time on their hands commonly stop over in Lublin. There is an endless amount of things to see and do in this city, and this list simply covers the cream of the crop. Probably everyone who knows a little bit of history. During the Great Patriotic War, there was a fascist death camp in the city - Majdanek. Now in this terrible place, where many peaceful Jews and Slavs were destroyed, was opened a memorial complex. Tourist should remember that some exhibitions are not intended for children. The entrance to the museum is free. Lublin's other attractions are much more peaceful. Of course, it's architecture is in the first place. Lublin Castle 14th century castle, the Kraków Gate, the Cathedral, the Crown Tribunal (with which the marvelous city legend is connected), the Dominican Order Church, the Holy Trinity Tower, the list can be continued for a long time. Moreover, there is a botanical garden, many parks, and museums: the museum of the poet Józef Čechović, the museum of the city and the amazing open-air museum of wooden architecture. In addition, as in every venerable ancient city, there is an underground passage in Lublin, where tourists are now allowed to go. Travelers can ensure themselves an excellent pastime in the charming Lublin by simply using the reliable services of the company for renting chic cars with a friendly driver. 8rental services are the most reliable amongst other rental companies if one is looking to choose a good and fast car for traveling to any distance, both in Lublin and outside the city. Every tourist will feel safe and very comfortable traveling with our company's services. To move productively and quickly around Lublin is possible with a service for renting great cars, where high quality of service and the safety of passengers - the main thing for service employees. Here, each car regularly goes through a technical inspection and if there are breakages, they are all fixed immediately. The salons of cars are always clean and very comfortable, every tourist will feel comfortable being inside. 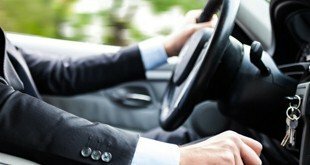 A good driver is one for whom the comfort and safety of each passenger are important. And this is about the people who work at 8rental.com. They will be able to create great conditions for the trip of our passengers, to be as good and pleasant as possible. Their extensive driving experience and serious attitude to work guarantee the provision of high-quality services. For a better trip to the wonderful Lublin, you must consider the most reliable and suitable service for renting a vehicle with a driver.